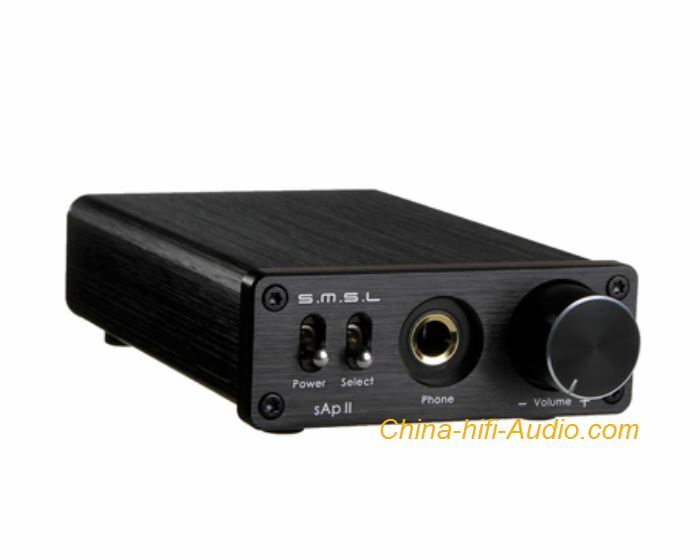 SMSL sAp II portable headphone amplifier.It's power supply uses a voltage divider technology and uses a high-precision potentiometer for balanced calibration with high positive and negative voltage balance. SMSL SAP II 2 way switch input circuit (3.5 headphone jack and the RCA block),Replacement of the input signal is no longer need to pull line, just select the switch panel. high precision power divider circuit.Guarantee the stability of the circuit and reduce the DC drift output.Using OPA2604AP for the pre-amplification, audio channel all use the United States Army Regulation DALE have a fever resistance Low noise.Japan PSE certified power distribution Corrugated low, radiation small,durable.High quality input and output connection seat to ensure the signal channel is smooth and durable.